Anyone visiting our Food Scraps Drop Spot at Gordon Neighbourhood House this Saturday, February 14 (10 am til 12 noon only) is invited to check out a seed library on the spot, presented jointly by Village Vancouver and the West End Neighbourhood Food Network. You can get some free seeds for your garden. Or swap some seeds. Or donate some seeds. For a look at why seed saving, and urban seed saving in particular, is essential to improve yield and food security resilience, read this article from Grist about a New York City local food activist and farmer who began to notice his saved seeds performed much better than those bought new; they were the survivors, and every year his seeds were culled from the best from the previous year. Of course his yields improved. 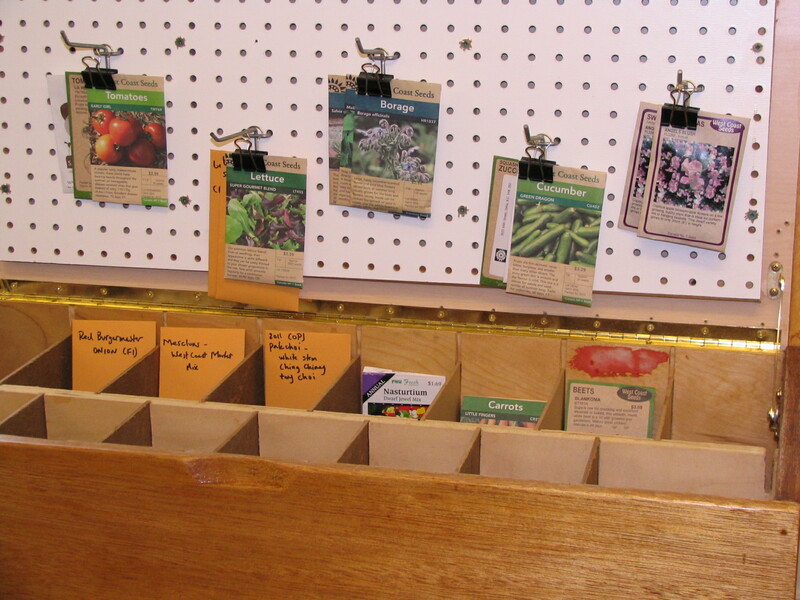 (Source) Are you interested in helping maintain and stock seed libraries? Assisting in producing a seed saving brochure? Helping promote or learning more about the benefits of seed saving? If so, please contact Village Vancouver Seed Savers: seedprojects@villagevancouver.ca. Read more about Seed Savers here (http://www.villagevancouver.ca/group/vvfoodgroupseedsavers). Interested in more about seeds? Lots is going on in British Columbia. For example, the BC Seeds Gathering in November 2014 (http://www.villagevancouver.ca/events/bc-seed-gathering) brought together many individuals committed to focusing locally and connecting nationally to protect the culture, history and future of seeds in our world. Small-scale seed growers, community leaders, seed networks and young urban farmers from across BC brought their seeds to clean, to learn and to share experiences and launch the BC Eco Seeds producer cooperative. For more information see BC SEEDS, a project of FarmFolk CityFolk supporting BC’s organic seed production (http://www.bcseeds.org/). And the BC Eco Seed Co-op – “Bulking up BC’s Seed System—Co-operatively!” — a producers co-operative committed to vegetable, herb, grain and cover crop seed that is ecologically grown – open-pollinated – regionally adapted – held in the public domain – GE-free. Its mission is to increase the quantity and improve the quality of ecological and certified organic seed grown in BC. They believe that seed sovereignty is an essential part of sustainable bioregional food systems (http://www.bcseeds.org/bc-ecoseeds-coop/).